Does Artistry and Beauty Evolve? I have long been interested in what complex and artistic animal behaviors tell us about origins. Why are some living things simply beautiful? Why do some creatures develop behaviors that seem more creative than merely practical? The evolutionary explanation is that any behavior must be explained in terms of adaptive advantage, but what if no practical advantage exists? This newsletter includes a link to a Youtube video highlighting a species of bird and demonstrating their elaborate mating ritual. 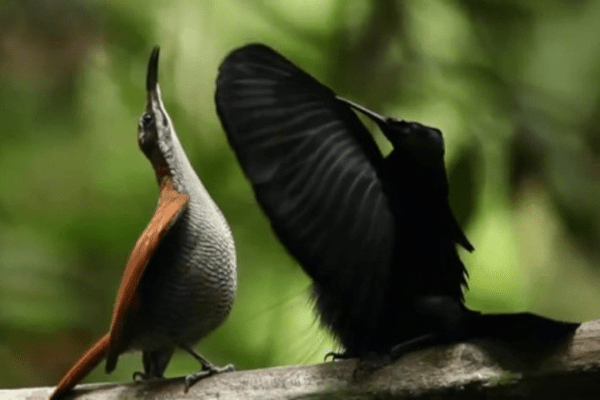 Most birds reproduce quite well without doing what birds of paradise do. It’s as if the designer of the bird of paradise just wanted to do something entertaining and creative. Furthermore, how is the ritual passed from one generation of birds to the next? Think about how difficult it is for sophisticated and literate humans to pass a skill or knowledge on to a child or grandchild. But generations of birdbrains contort their plumage and strut their stuff in exactly the same way. Is the behavior stored in their DNA and who stored it there? I’ll let the birds of paradise speak for themselves.